I'm sure that everyone has heard of those monthly subscriptions that come right to your door, right? I have something I have been getting in the mail but it isn't monthly. It's whenever you decide you want it. It's called gopicnic. You may have heard of these and can get them at a grocery store or even Target. Now they can come right to your door AND it's even cheaper than they would be if you bought them at the store. These are perfect to take to work, to pack in your kid's lunch box, or even just to snack on at the house. They don't even have to be refrigerated. Each box contains individual packages that consists of some type of crackers or chips and a dip to go with them, a trailmix, and a sweet treat, such as gummies or a lollipop. Eat them all at once or save some for later. They are considered meals on the go. Each box is less than 500 calories. Some are even 390. 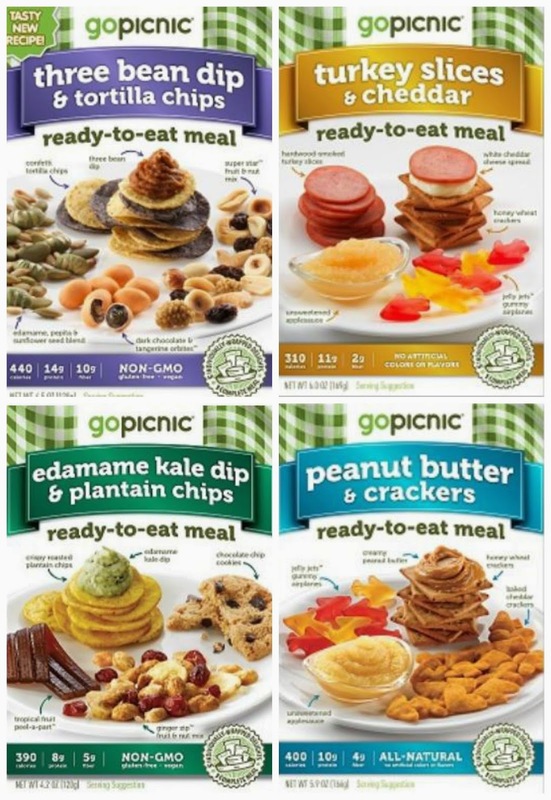 There are many different kinds of go picnics such as gluten free, vegetarian, and even vegan. So what ever your dietary needs are you will be able to find a gopicnic that will work for you. Not only do they have ones for lunches, they have a few breakfast options as well. Unlike some subscriptions, shipping is NOT free, unless you do order a certain amount. But if you are going to order them anyways, why not get enough at once? Once you sign up for their mailing list, each week you will receive special discount codes for certain items. 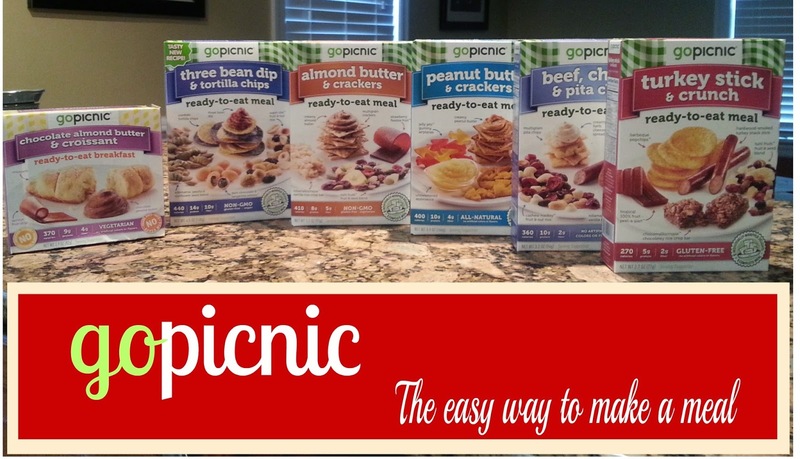 Have you ever heard of gopicnics? What do you think of them? I've tried a few of these after seeing them at Target. They are so cute and remind me of healthy lunchables. I've never seen those would consider them for traveling with the kids. Yes they are perfect for on the go. Interesting. I've seen these at Target but just assumed that they wouldn't be healthy. I thought they'd kind of be like lunchables. I'll have to give them a closer look the next time I'm at Target. It all depends on what kinds you get, but yes they can be healthy. Edamame kale dip with plantain chips sounds amazing. I am in love with plantain chips. All the ones that I have tried, that's actually one I haven't. Maybe I'll get that next time. Yes they are very yummy. You should give them a try. They do have many more options online. Glad they have vegetarian/vegan options. I'll have to check this out! Yes they have many different varieties. Interesting! I am going to check out their website now! Good luck! Hope you find some goodies. Oooo! I want those turkey slices and cheddar! I'm going to have to check them out!